In every conversation about viruses, bacteria and infections, there is one message that remains clear: proper preventive hygiene is the best way to help prevent the virus from spreading. 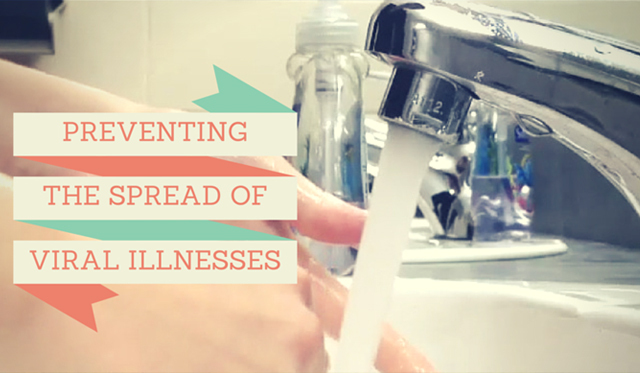 What do we mean when we say preventative hygiene? We’re talking about any personal practice that helps to stop germs from spreading. This goes for your standard cold, flu, or any other viral illness too. Stopping the spread of germs doesn’t have to be difficult, but it does require practice and consistency. Washing your hands frequently and properly is the best way to stop germs from spreading. You and your children should be washing your hands before eating, after using the toilet or petting an animal, and definitely after coughing or sneezing. To be thorough, you should spend about 15 seconds washing your hands with warm water and soap. Don’t forget to get your wrists, between your fingers, your fingernails, and the backs of your hands too, not just your palms! Did you know that when you sneeze your germs can travel at least 5 feet away at an average speed of 100 miles per hour? Gross! Coughs and sneezes are really good at spreading germs through the air, which is why it’s very important to cover your nose and mouth to stop those germs in their tracks. It’s harder to spread germs to people when there aren’t any around. It may not always be the easy choice but if you or your children are sick it’s best just to stay home. This will allow you and your family to avoid bringing your germs to work or school and let you focus on resting and getting better. In the same vein, if a friend of family member is ill try to give them some space. We’re taught from a young age that sharing is caring but when it comes to things like food and drinks, it’s better to be a bit selfish. Teach your kids not to take or give their snacks to friends at school (and follow the same rule yourself!) Germs travel easily in saliva, so by sharing a bite or sip of something you’re basically just leaving the door open for them. Each of these steps are quite simple, but you need to actually do them for them to be effective! Talk to your kids about how to stop germs from spreading and practice things like hand washing and sleeve sneezes until they become habit. Every little action helps to prevent the spread of viral illness so spread the word, not the germs!